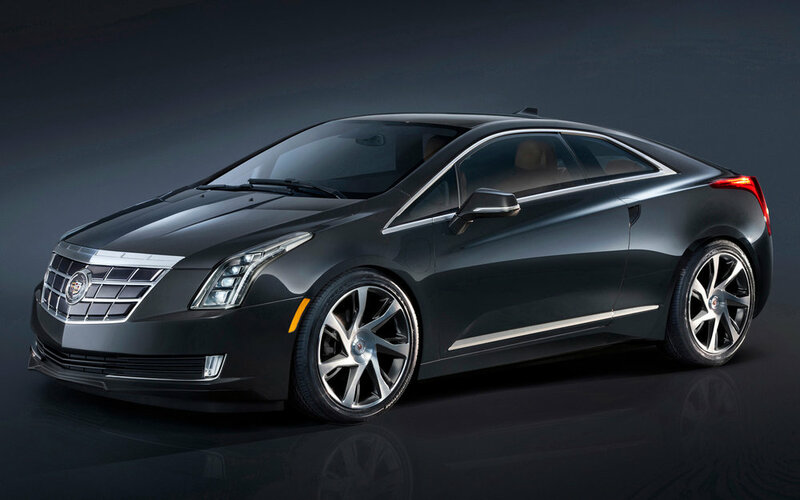 With the release of the production version of the Cadillac ELR at the North American International Auto Show in Detroit this past week, General Motors proved yet again that energy behind the resurgence of the American automotive industry remains high. Any time a vehicle manufacturer comes out with such a stunning concept car, as they did in 2009 with their Converj concept, and manages to stay so faithful to the original concept vision, that company certainly deserves high praise. Audi came close to this sort of effort when they introduced the production version of the TT in terms of staying true to a concept. However, with respect to the ELR, this may be one of those rare occasions where the actual shipping car looks better than the concept embodiment. Can you spot the concept vehicle? GM also deserves credit for moving into the luxury Extended Range Electric Vehicle luxury niche before other large-scale luxury vehicle manufacturers. They are also introducing some new driving affordances unique to this type of vehicle, such as steering wheel-mounted paddles that allow drivers to induce regenerative braking on demand. While we will have to wait and see how the ELR actually performs, on paper things look promising. And if you are a fan of Cadillac's "Art and Science" aesthetics, on the show room floor they are looking great.